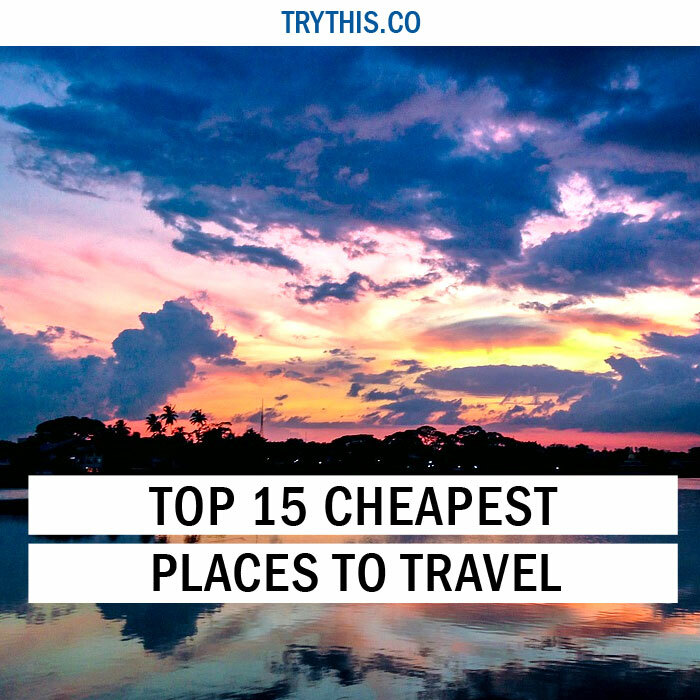 Top 15 Cheapest Places To Travel - Travel Tips - TryThis! 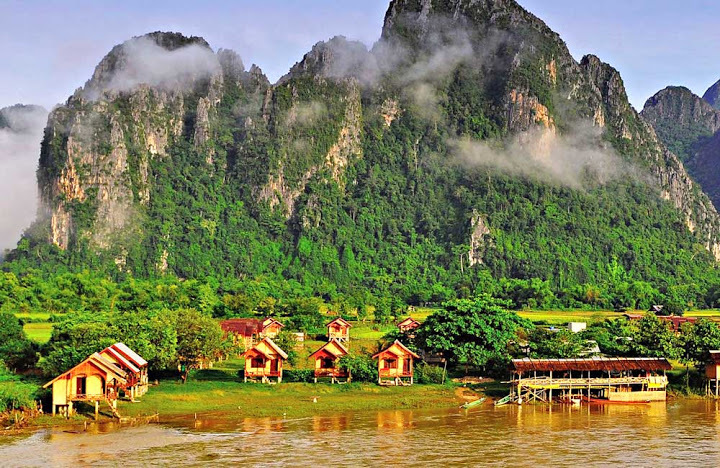 Laos is a country that is generally overlooked as a destination due to being crammed between two very popular countries namely Thailand and Vietnam. 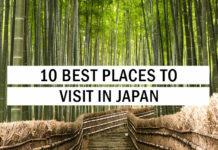 But it may easily rank amongst the cheap places to travel for people looking for a more authentic vibe. The infrastructure had developed greatly in the past few years making the country as a whole much more accessible. In spite of the country being landlocked devoid of any beaches or islands, it has been able to attract massive tourism with its mountains that are sparsely populated and with nearly 70% forest coverage. Such topography has proven to be a paradise for outdoor activities that include trekking, climbing, kayaking, zip lining and hot air ballooning. We can easily avail a comfortable stay in the country which is generally quite low in price with a great cuisine on offer. Notable places to visit in Laos include Luang Prabang, Nong Khiaw, Luang Namtha & Nam Ha Nat’l Park, Phonsavan and the Plain of Jars. 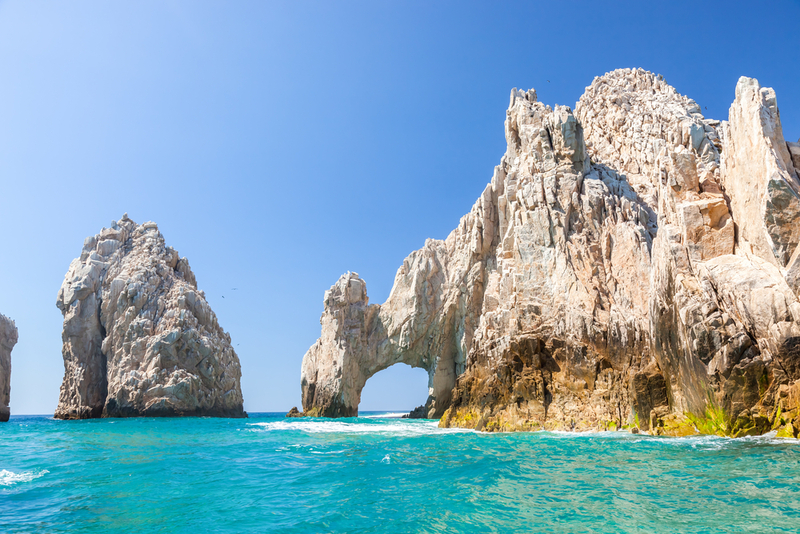 Amongst the cheap places to travel, another budget trip that can give us everlasting memories is a trip to Mexico. People from countries with currencies like USD or the EUR might find Mexico to be a very cheap destination owing to the recent exchange rates between Mexican peso and these respective currencies. The premier attractions of the country include the gorgeous beaches, epic desert canyons, and the Mayan ruins hidden in the jungle. During our trip, we must not forget to taste the cultural treats of the cities like Oaxaca, Merida and Mexico City which are historic in their own rights. Room costs are affordable and $20 for a night is sufficed for the purpose. The street cart food is delicious and comes really cheap. If we are really constrained in budgetary terms we must avoid resorts in Cabo or Cancun for their low-cost peers that include beach towns like Tulum, Puerto Escondido, Zihuatanejo, or Mazatlan. Nepal is a small Himalayan country that lies sandwiched between India and China. This country has the highest peak in the world which is a source of major attraction for trekking and various other mountainous activities. Nepal is unparallel in beauty and has the blessings of Mother Nature. 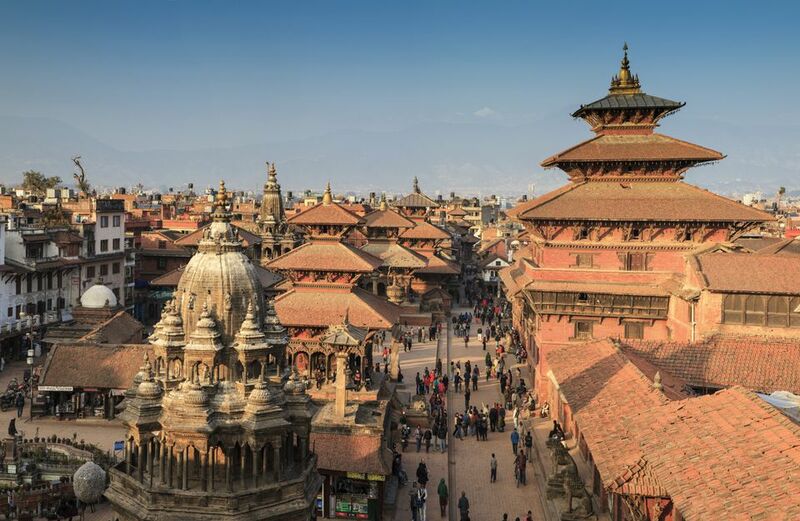 Kathmandu is the capital city which is generally characterized by hustle and bustle and people’s friendly nature. People here can experience a pleasant sunrise sitting in nature’s lap which is a magical experience in its own right. Though trekking can be costly under the guidance of a guide, we may afford it under $30 a day if we can do it independently. Other attractions in Nepal include jungle safaris, kayaking around Lake Phewa and visiting the many wonderful temples of Kathmandu. Nepal must definitely make the list of cheap places to travel as basic private rooms can be boarded at under $10 per day. Another eastern European country that may easily rank amongst the cheap places to travel in Georgia. 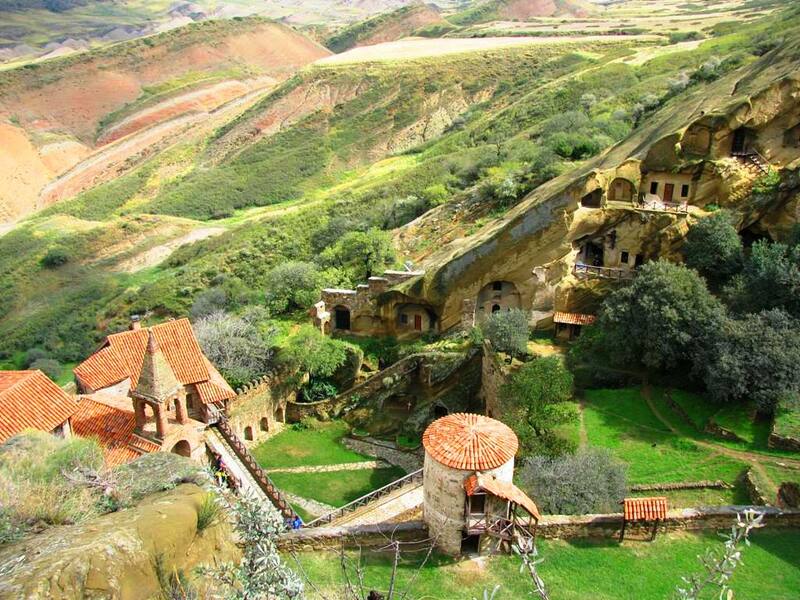 It is situated in the Caucasus mountain range which can itself define the topography of the country. Accommodations are overwhelmingly cheap ranging from $15 to $20. Atlanta is the capital city of the country which boasts of the biggest aquarium in the world underneath an urban skyline. Another major attraction is the historic city of Savannah that can amaze us with its history and amazing architecture. Other notable places to visit in Georgia include Tybee Island, Cumberland Island and Callaway botanical gardens. Indonesia is a land of great contrasts ranging from white sand beaches to jungles and savannahs. We can experience blue flame spewing volcanoes to remote rainforests in these mystical lands. 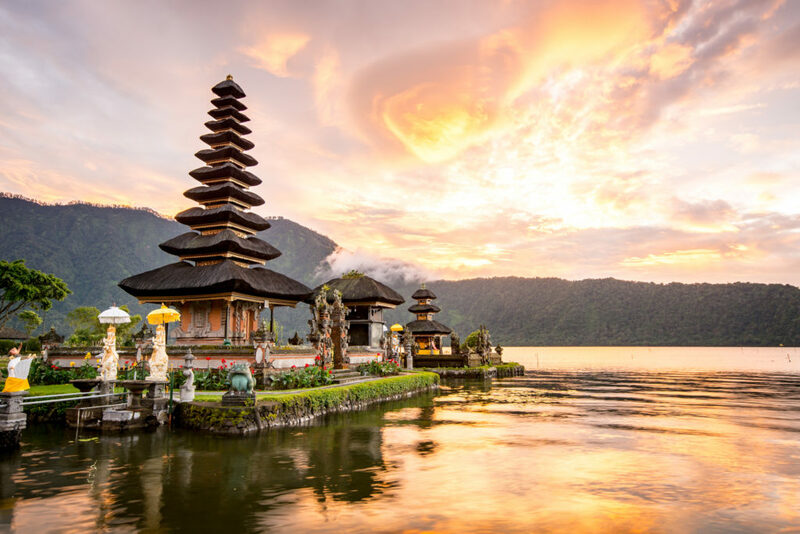 The main attraction of Indonesia is the island of Bali known for its beaches and Hindu culture. Though Bali easily turns out to be the tourist hot spot, we must not miss the opportunity to explore other adjacent regions which are fantastic in their own ways. Exploring the Komodo islands may turn out to be a great experience. The other major attractions include Raja Ampat Islands, Tanjung Puting National Park, Flores Island, Torajaland, Bukit Lawang, Bromo Tengger Semeru National Park and Lombok. Indeed Indonesia may turn out be an amazing experience for people having budgetary constraints amongst the cheap places to travel. A Western European country that must definitely find a place amongst the cheap places to travel in Portugal. Due to the recent tourist boom in the country, the place has experienced incredible redevelopment. Apart from the two major cities of Lisbon and Porto that appear to us as primary visiting destinations, there is so much more to the country to give to its visitors. 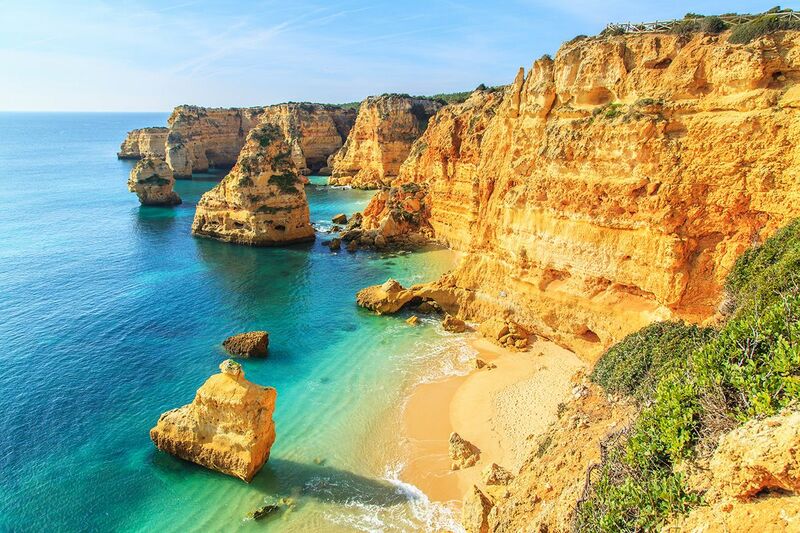 Major places of attraction include the karst cliff beaches of the Algarve, the old university town of Coimbra, or the adventurous Atlantic archipelago of the Azores. If we are on a tight leash of financial restrictions we may avoid the most crowdie places for the other major sources of attraction. Nicaragua is a Central American country that lies adjacent to Costa Rica. It is must cheaper in terms of expenses in comparison to its peer as the tourism industry here is still in its primordial stages. 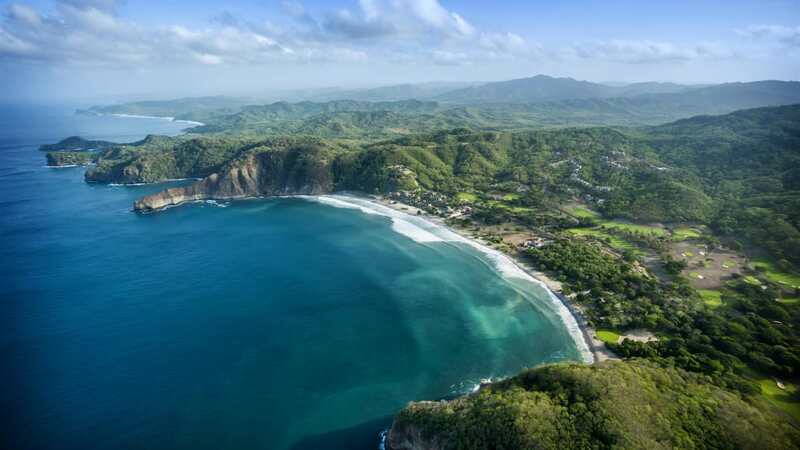 Costa Rica has already started attracting eco-tourists from the developed nations while on the other hand, everyone is not completely aware of Nicaragua as a traveling destination. This very reason has helped in keeping the prices extremely low although the country can present us with a similar traveling experience like its counterpart. The colonial city of Granada can provide us everlasting memories owing to the surfer hangouts along the coast. Adventurous people may be presented with a chance to climb an active volcano that may prove out to be a major experience. In order to visit Nicaragua, we may take a cheap flight to Liberia from where it is a one hour drive to the country. Nicaragua must definitely rank higher amongst the list of cheap places to travel in terms of traveling experience. Morocco can prove to be a fantastic budget gateway to people looking for budgetary concessions. It is one of the most stable nations of Africa whose borders lie very close to Europe. One caution while visiting Morocco is to stay away from the salesman trying to sell overpriced rugs! Jokes apart it may turn out to be an ideal destination for backpackers owing to its network of backpacker hostels. 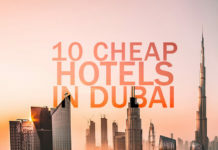 If the budget is kept medium we can experience staying in iconic traditional hotels called riads that have garden courtyards seeing over the buzzing city streets. A desert trip to the Sahara is an experience in itself as there is a common belief that it has more grains of sand in comparison to the number of stars in the universe. 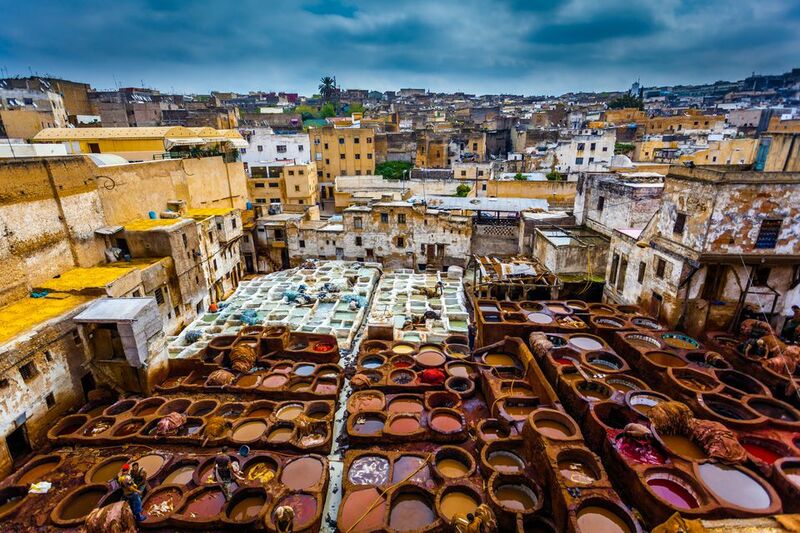 Major sources of attraction include Marrakech & Central Morocco, The High Atlas region and the town of Chefchaouen famous for its white and blue houses. Amongst the cheap places to travel around the world, Morocco is definitely one of them. Though traveling to Bolivia might turn out to be a slow and uncomfortable affair, it is by far the cheapest country in South America. Though less pricey than its neighbors it can provide an unreal experience that may be unimaginable while planning our visit. We may achieve everlasting memories by visiting Titicaca which is the world’s highest lake. Another jaw-dropping experience can be witnessing the otherworldly salt flats of Salar Uyuni. The accommodation prices are as low as visiting Southeast Asia that can provide us extra leverage to our limited money. Adventurers may be greatly attracted to the heights of the Andes that it may diminish their lethargy to travel remote. Major attractions include a visit to the Atacama Desert in addition to the heights of the Andes. 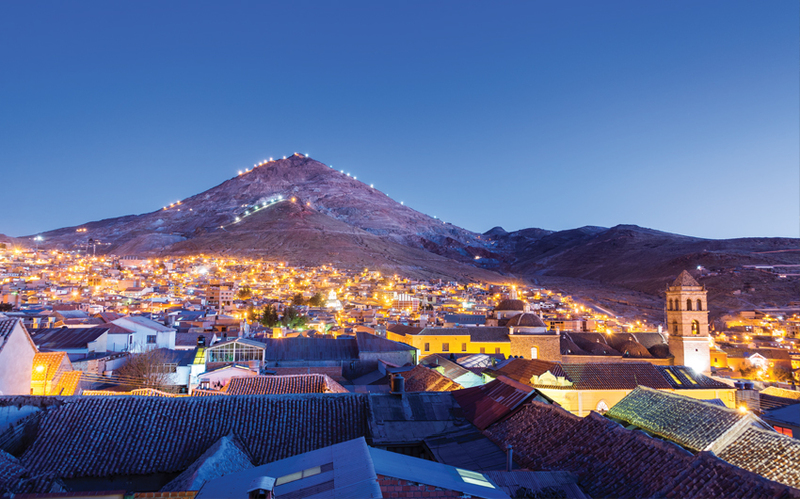 The capital city of Bolivia is La Paz which is the highest altitude capital in the entire world and is home to some extreme sports. Considering the topography and traditional dynamics Bolivia is a must see amongst the cheap places to travel. Columbia can be a great destination for tourists from developed nations due to the exchange rates being highly favorable. The uniqueness of the country to provide a taste of both Atlantic and Pacific coasts is a great offering. A chance to visit the Amazon rainforest or the Andes mountain range may appear as a very attractive proposition to a visiting tourist. 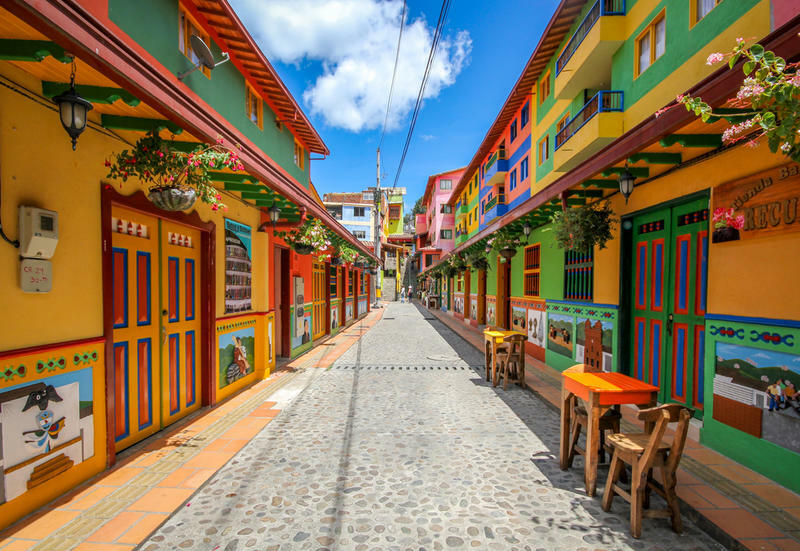 Columbian people are lovely welcoming people with a traditional and rich culture which can prove to be quite a positive experience for an outsider. Major places of visit include Colonial City of Cartagena, Totumo Volcano mud baths and a Trek to the Lost City. Visiting Columbia can prove to be quite the experience which inducts the trip amongst the cheap places to travel around the world. 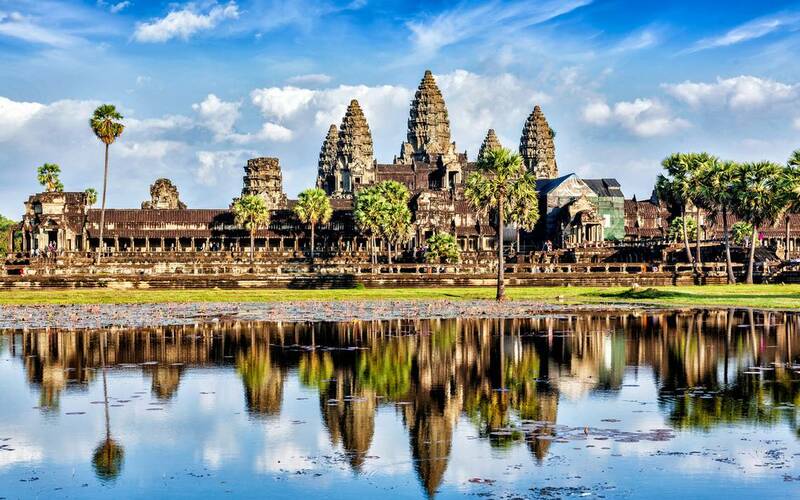 Another Asian Country that must definitely make the list of cheap places to travel in Cambodia. One the most ravishing architectures of the world is the temple of Angkor Wat, which is an attractive proposition for many tourists. It was the bleeding heart of the ancient Khmer empire and many visit Cambodia just for the sole purpose of visiting the sprawling temple premises. Though Cambodia’s beaches and islands are still not commercialized, a visit to the country may help us find peace envisioning the charming rural villages and the adjacent lying rice fields. Other places of tourist attraction include visits to Siem Reap, Phnom Penh, and Kratie amongst other several destinations. This communist nation had stayed in a state of isolation from tourists for the better half of the last century. With situations improving in this Caribbean island, we must not miss a chance to visit this fascinating nation before the prices start rocketing upwards. The salsa clubs of Havana or a July carnival of Santiago can provide an experience like no other. Major places to visit in the island nation include visiting the cities of Vinales and Trinidad in addition to the capital Havana. 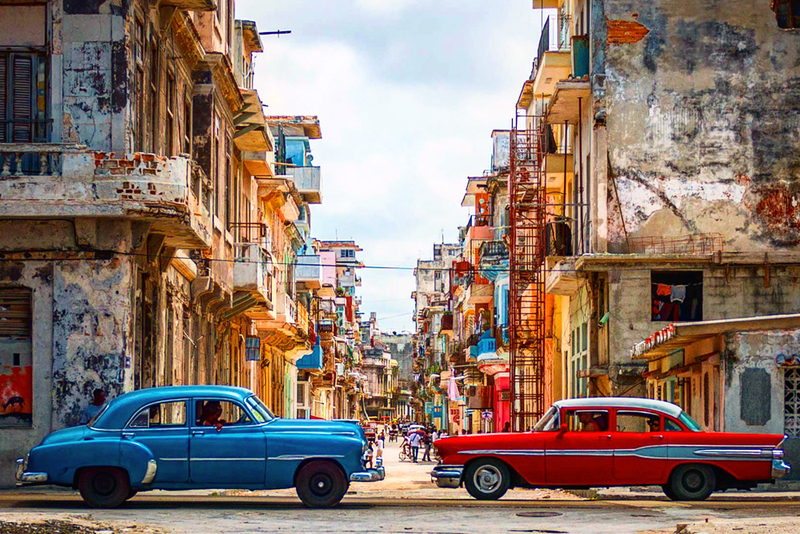 Presently Cuba does rank amongst the cheap places to travel around the world but one cannot be so certain of the point in the future! 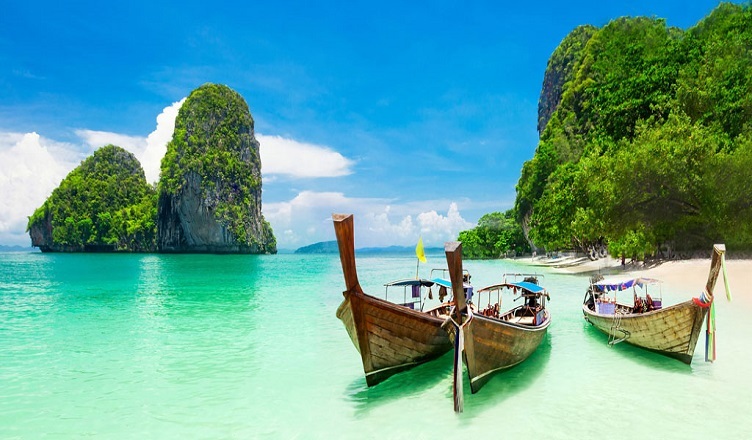 A very popular country amongst the cheap places to travel around the globe in Thailand. 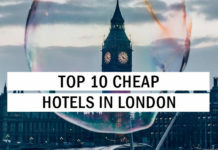 Though there are luxury resorts like Koh Samui and Phuket that may prove to be costly for the normal traveler, the country is overall economical considering average accommodations and food cost. The beaches have gone heavily commercialized owing to the flock of tourists but the further away we travel from the beach the more financial friendly the trip becomes. The Chiang Mai region in northern Thailand can prove to be a paradise for the budget traveler. It can really provide us a heavenly feeling to come across Buddhist temples while mixing with the native hilly population along the way. We can avail the best hotels in such areas, where a hotel with a swimming pool will charge somewhere around $30 daily. Prime locations for visit in Thailand include Bangkok’s grand palace and temples, ruined capital of Sukhothai and the elephant nature park. 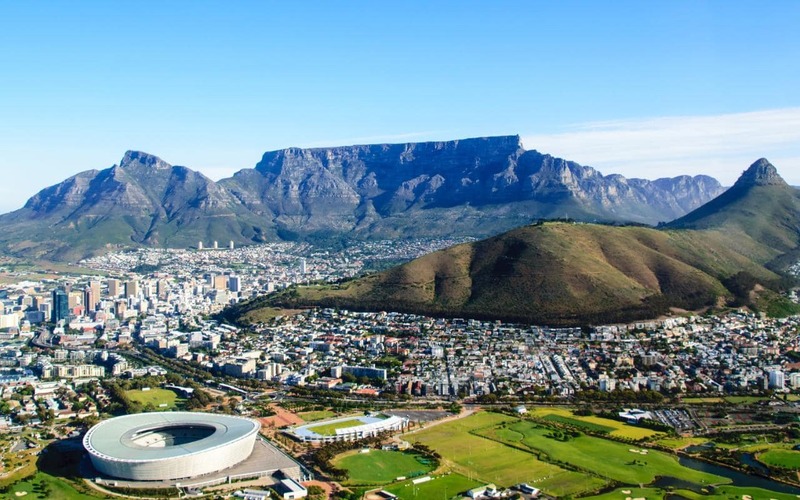 South Africa is a very stable African country which is quite popular amongst the population of the globe. Though not necessarily the cheapest country to travel to, it can give us a unique experience of living the dream of an actual African safari. In addition to the safari experience, we can also visit the ravishing cities of Cape Town, Johannesburg and Pretoria amongst other cities. We may plan our trip by a breakup of the entire journey into three segments which would include a visit to the Western Cape, Eastern Cape, and KwaZulu Natal. 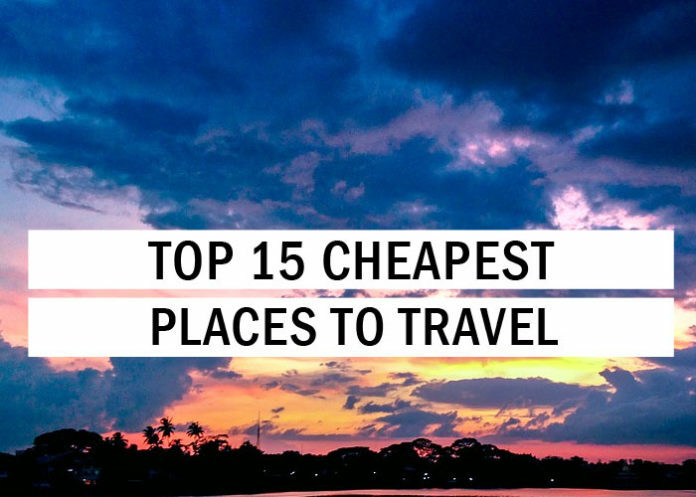 Though costly in comparison to other cheap destinations, it still comes across an economically viable trip giving it a place amongst the cheap places to travel around the globe. Another Southeast Asian country with a historical background is the country of Vietnam. It might prove to be an amazing experience considering the visits to locations like the karst islands of Ha Long Bay or the floating markets of Mekong Delta. It is a country of many contrasts featuring sites such as the beautiful chaos of Hanoi’s Old Quarter to the serene Hoi An riverfront adorned with multi-colored lanterns. A trip to the country can be considered truly economical as each meal would require spending just a few dollars. Places of visit must include a trip to the big cities in addition to visiting the Nha-Ke Bang National Park and the tunnels of Vinh Moc. 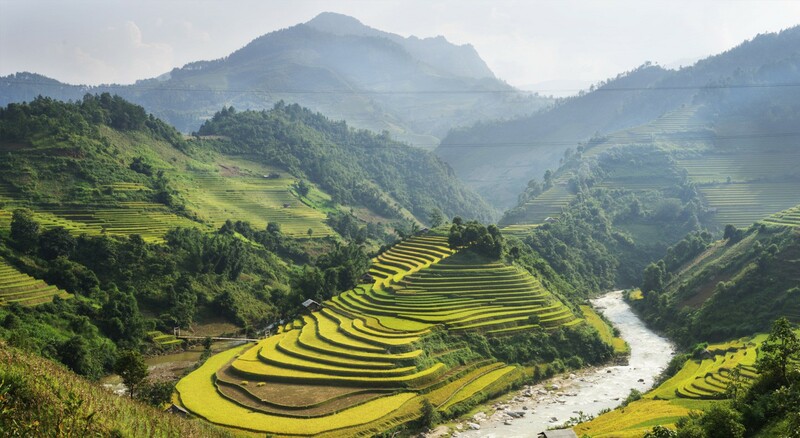 Vietnam as a traveling destination definitely fits the bill of the cheap places to travel around the globe.